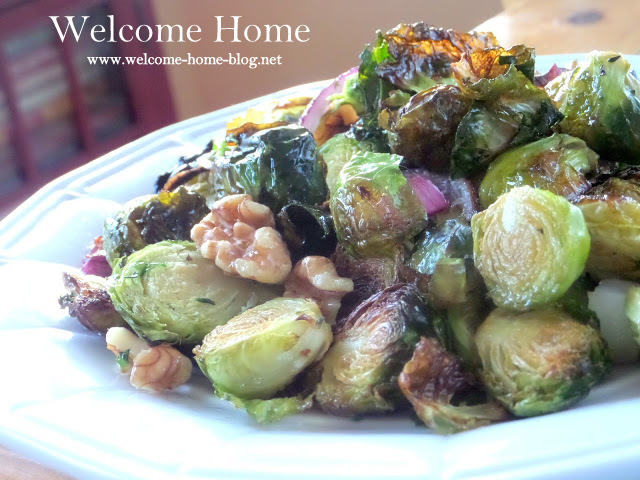 Brussels Sprouts are one of those vegetables that you either love or hate. I happen to fall into the love category. I’m not sure why they fall into the hate category…I think mostly because of the way they are prepared. I think boiling or steaming makes them soggy and bitter. 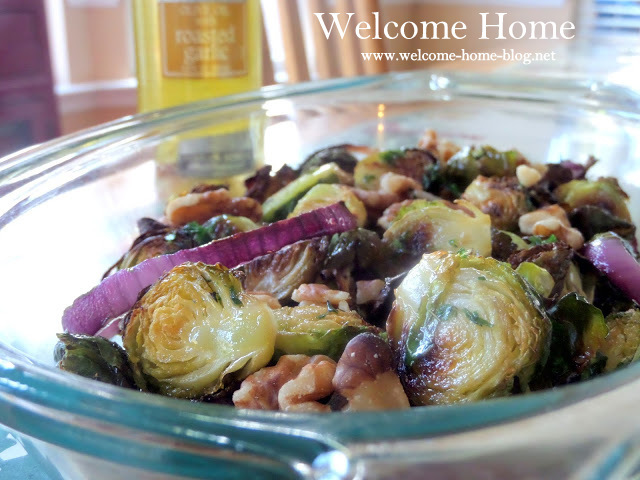 But when you oven roast Brussels Sprouts, they become amazing! Roasting brings out the sweetness in them and changes haters into lovers instantly! I like to add a little red onion and some walnuts for a little extra nuttiness and crunch. Then I drizzle them with a little Star Fine Foods Olive Oil with garlic and roast them until they are tender on the inside and the edges of the leaves on the outside become perfectly crispy. This is the perfect recipe for a love/love relationship! How to pick out the right sprouts: Look for hard, bright-green sprout heads and try to choose roughly the same size so they'll cook evenly. Buy them lose in the produce section and not on the stalk. That way you can pick the ones you like best. Preheat oven to 425 degrees. In a small to medium skillet over medium heat, toast your walnuts for 4-5 minutes. Stir frequently so they don’t burn. Set aside. Clean and trim Brussels sprouts and cut them in half. Slice your onions and chop your walnuts. In a large bowl, combine sprouts, onion, salt and pepper. 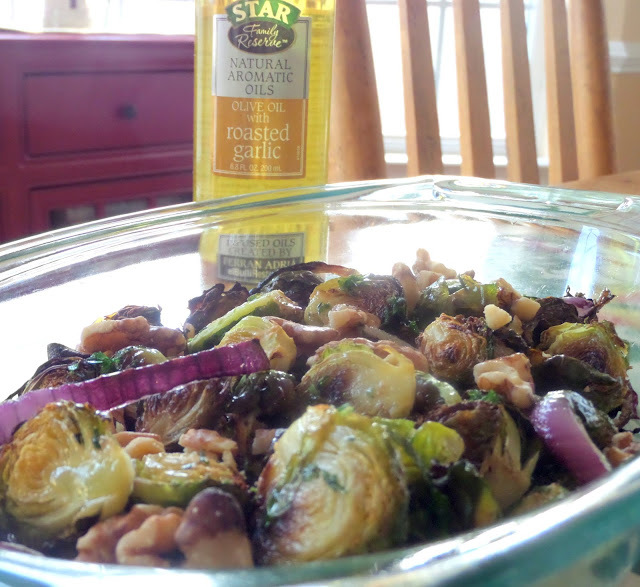 Add Star Fine Foods Olive Oil with Garlic and toss to coat well. Spread on sprouts and onions on a rimmed baking sheet lined with parchment paper and roast at 425 degrees for 20-30 minutes, tossing occasionally, until vegetables are tender and caramelized. Remove from baking sheet and add the walnuts and toss well. Drizzle with more olive oil with garlic if desired. Serve immediately.